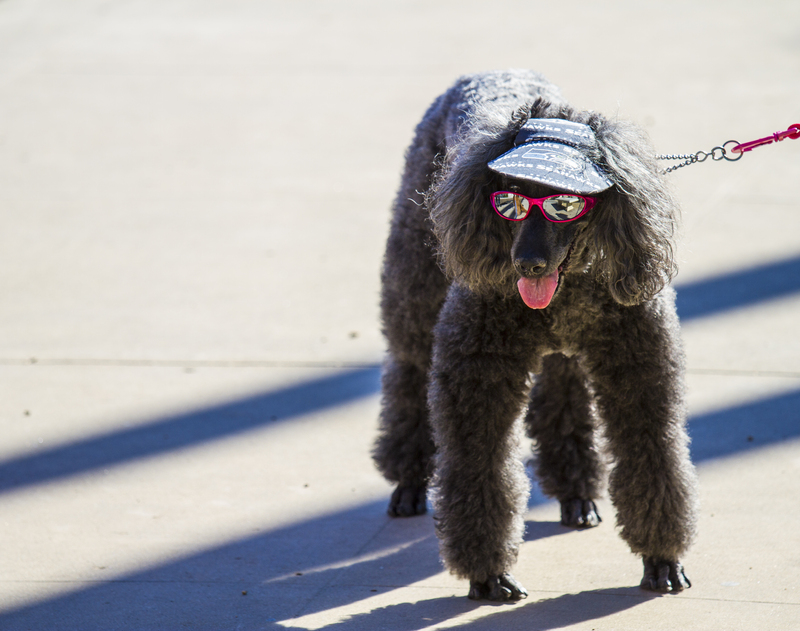 Kongo was in Balboa Park a Sunday or two ago and ran into this over the top, way too cool poodle dude dog out for a stroll. This canine had a certain swagger and attitude that let you know that it knew he was THE TOP DOG. It was also a big fan with the other walkers and park visitors. The leash holder couldn’t get more than about 10 feet without being swamped with oohs, ahhhs, petting attacks, and hugs from toddlers. That, of course, was the point. Reminds me of Japan where naked dogs are in the minority! Most of the dogs wear clothes and there are entire stores devoted to doggy attire and accessories.